Home / News / Villainous detail new EP plans! UK riff-slingers VILLAINOUS unleash their engulfing self-titled debut EP on Wednesday 10th October via all platforms. 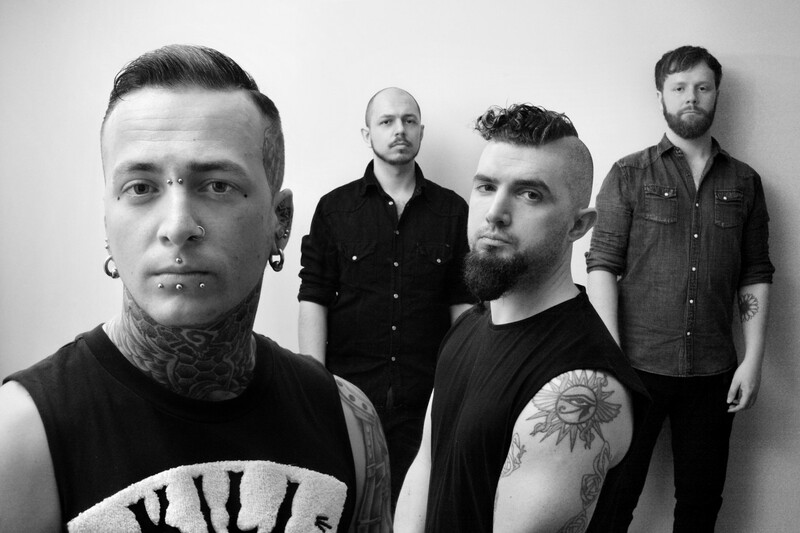 Bursting out of Brighton, newcomers VILLAINOUS, fuse together a towering sound pulling from the rampant power of Mastodon and Lamb Of God, the guile of the Deftones and Alice In Chains, and the proggy intrigue of Tool. The South Coast heavyweights are comprised of Sean Stakim (Vocals), Neil MacCallum (Guitar/Vocals), Nick Read (Bass/Vocals), and Callum Armitage (Drums) and pack together a heady mix of groove-driven drop-tuned riffs with expansive choruses and compelling multiple vocals lines. Formed in late 2017, the enterprising quartet soon amassed a strong set and have just completed work on their self-titled EP, which is set to land this October. The band comment about the release: “The EP represents three characters in a different state of acceptance of their own existence. One is someone who has given in and allowed themselves to be shaped and moulded by their surroundings, one reflects on the time they have wasted but asks for more when aware of their impending death, and one refuses to be a product of their environment, revelling in the chaos that they have been born into.”. VILLAINOUS have a series of shows in the works for the Autumn and are planning a host of releases and tours for 2019. Previous The Drones – Will you stand in front of bullets?